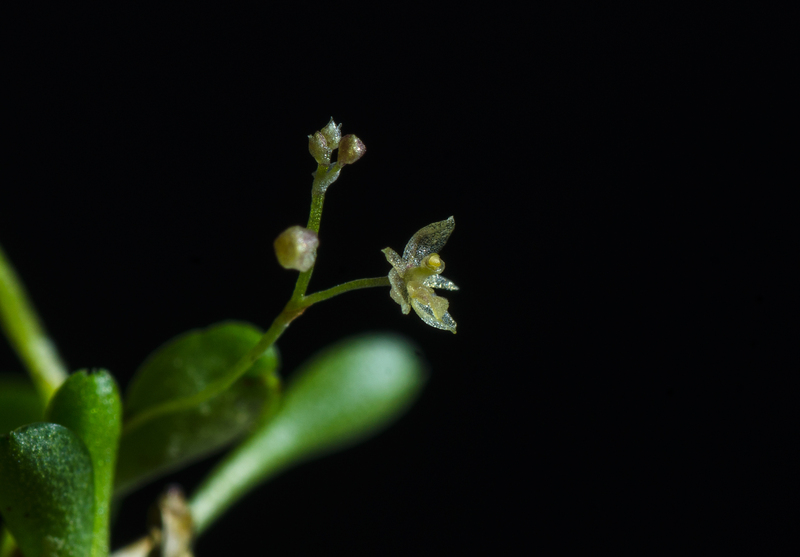 Platystele microtatantha (Schltr.) Garay 1967. Here compared to a ballpoint pen. 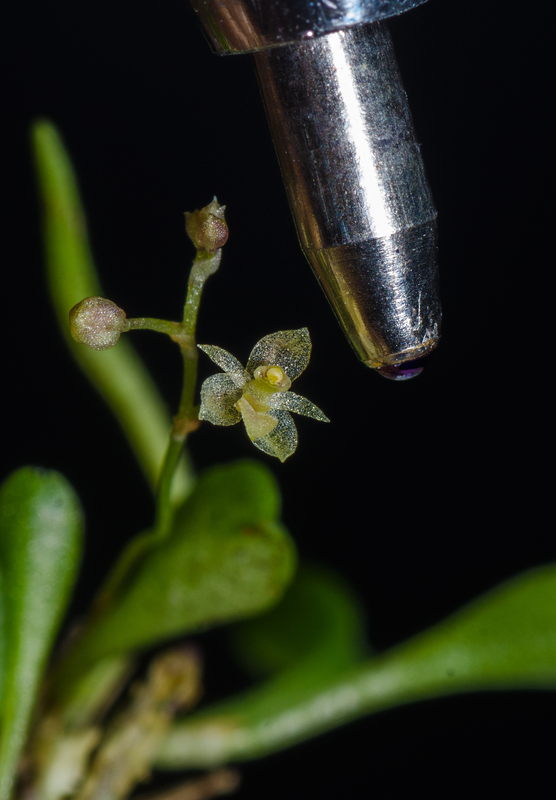 This orchid species is one of the smallest in the world. It grows in Costa Rica and Panama. I grow this species on a small piece of Redwood bark. It grown next to the fogger. Temperatures in the vivaria Min +10°C to Max 19°C. Would be interesting to do a serious comparison between Platystele microtatantha, Platystele tica (That I found in Choco, Colombia.) 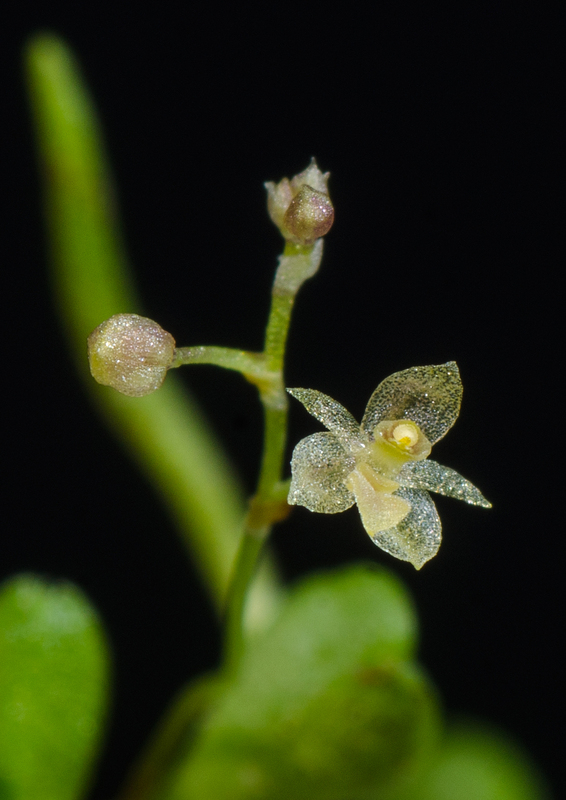 and Platystele jungermannioides that is supposed to be the smallest. Platystele microtatantha compared to a ballpoint pen.